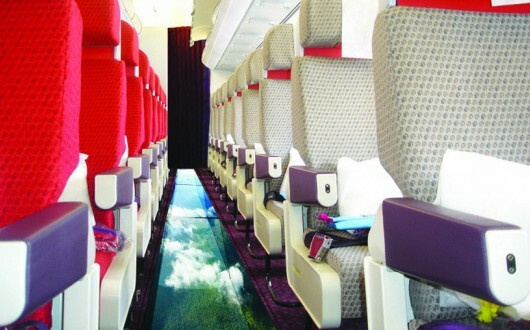 I’m thrilled to announce that Virgin has created another world-first with the introduction of the technology required to produce the world’s first glass-bottomed plane. This technological innovation coincides with the start of Virgin Atlantic Airways’ first ever domestic service to Scotland. In 1984 we started the wonderful airline that is Virgin Atlantic. I am incredibly proud of yet another aviation breakthrough which has been years in the making. I can’t wait to experience the first flight for myself with my family and other natural born explorers. 2012 was a year of celebrating what is brilliant about Great Britain and I’m excited that in 2013 we are continuing this uplifting spirit by developing an experience that will enable Little Red passengers to appreciate the beauty of the British landscape. And with an unrivalled view of Scotland I hope this gives Scottish tourism an even bigger boost. 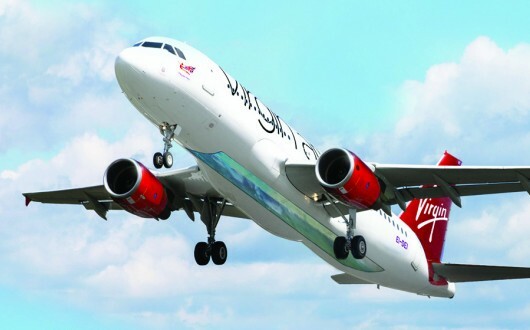 We hope to trial the glass bottom technology with other Virgin airlines in time and have asked other Virgin companies to support this innovative trial and launch our new domestic Scottish route. This really is a team effort from all corners of Virgin. And the question is.. it it an April food joke? Sunt incantat sa va anunt ca firma Virgin a adus inca o noutate absoluta prin introducerea tehnologiilor necesare sa produca primul avion cu podeaua de sticla. 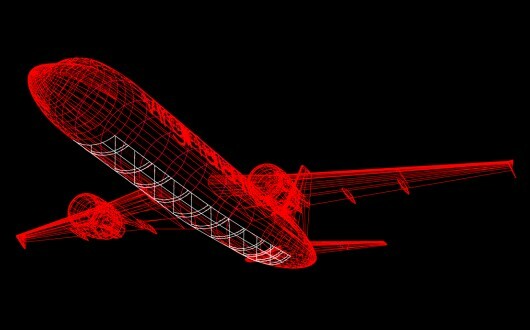 Aceasta inovatie tehnologica coincide cu primul zbor domestic realizat de Virgin Atlantic Airways in Scotia. In 1984 am infiintat compania aeriana Virgin Atlantic. Sunt foarte mandru de noutatea aviatica in a carei realizare s-a lucrat multi ani. Abia astept sa experimentez primul zbor imbreuna cu familia si cu alti exploratori nativi. 2012 a fost un al sarbatoririi a tot ceea ce este deosebit in Marea Britanie si sunt incantat ca in 2013 continuam in acelasi spirit, dezvoltand o experienta care va da posibilitatea pasagerilor avioanelor Little Red sa aprecieze frumusetea peisajelor britanice. Si sper ca privelistea de neegalat a Scotiei sa ofere ocazia turismului scotian sa inregistreze un ritm mai mare de crestere. Speram ca in timp aceasta tehnologie sa fie aplicata si la alte rute Virgin si am cerut ca toate companiile care colaboreaza cu firma Virgin sa sprijine aceasta idee inovatoare si sa promoveze ruta interna in Scotia. Aceasta este o munca de echipa, la care au contribuit oameni din toate sucursalele Virgin. Iar intrebarea care este in mintile tuturor.. Aceasta este o gluma de 1 Aprilie?